Named in 1851 for General Isaac Shelby (famous for his service in the Revolutionary War and the War of 1812), Shelby County was settled largely by Danish and German immigrants who were attracted to the area’s fertile land. Many of the very first settlers in the 1840s and 1850s were Mormons - members of the Reorganized Church of Jesus Christ of Latter Day Saints - after they split from the main church in Council Bluffs and Utah. 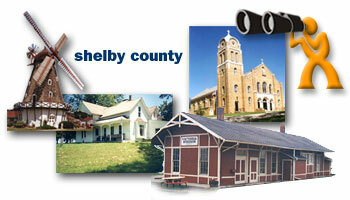 For a richer, more in depth discussion of Shelby County in its youth visit the IAGenWeb project. Shelby County has long been known as a destination spot for those traveling through Iowa. With it’s rich history and it’s incredible natural resources, it is no wonder that it has been home to Iowa’s top attraction twice in the past few years. Shelby County offers historical museums, virgin prairies, ethnic celebrations, extensive county parks and recreational facilities to welcome you to the area. The County’s scenic beauty, bountiful wildlife and parks are perfect for any outdoor adventure. 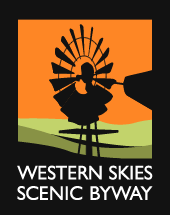 Shelby County is the heart of Iowa’s Western Skies Scenic Byway. Travelling through Shelby County on the byway you will experience the beauty, splendor and cultural diversity Shelby County has become to be known for worldwide. Visit our Attractions, Tourist Favorites, and other Points of Interests section.